Plato, the classical Greek philosopher, and the founder of the Academy in Athens, once said concerning music, “Music is a moral law. It gives soul to the universe, wings to the mind, flight to the imagination, and charm and gaiety to life and to everything.” That depiction accurately describes the genius behind the music videos that are produced by Jon Schmidt, Steven Sharp Nelson, Tel Stewart, Paul Anderson and Al van der Beek. Their collaboration has gained them widespread recognition as The Piano Guys. 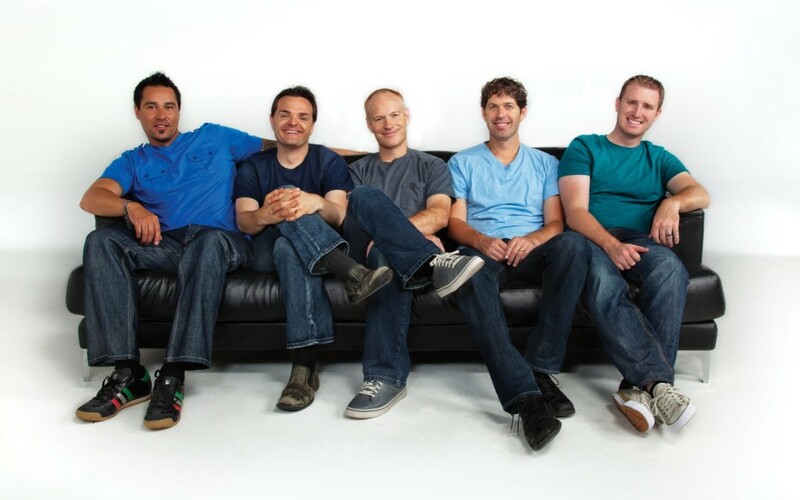 They have an official website which can be found at The Piano Guys, and an official YouTube Channel. And, they are all members of The Church of Jesus Christ of Latter-day Saints. The information for this section was obtained from Wikipedia. Paul Anderson owned a piano shop in St. George, Utah. He first met Jon Schmidt when he walked into his shop and asked if he might be able to practice for an upcoming concert. Several months later, Paul Anderson and Tel Stewart started making videos together (more for fun than anything) of Jon playing the piano. Soon afterwards, they had their first collaboration with Jon Schmidt, Steven Sharp Nelson, and Joseph Sanns. Other members of the team include Tel Stewart who is in charge of videography and editing, and Al van der Beek who is in charge of production and recording. It was not long before the group was producing a music video each week and posting it on YouTube. It has been through this venue that they have achieved acknowledgement and fame as gifted artists. They released their first album titled You Tube Hits Volume 1 in December 2011. Their second album, The Piano Guys, reached number one on the Billboard New Age Albums and Classical Albums charts in 2012. In an exclusive 30-minute interview with KSL-5 TV in Utah, The Piano Guys – The Story behind the Internet Sensation, Paul Anderson commented on how the idea of using YouTube videos came about. He says that it all started with an idea to create a YouTube Channel and then create a video to promote his piano store that would go viral. How are these Youtubers getting millions of subscribers?” he continues, “I came across a video with Jon and Steve, they had done a video, ‘Love Story Meets Viva La Vida’ and the music to it was just amazing. I was taken aback by it, it was inspiring, and it got in my mind.” Paul’s idea started to take off, “If these guys would keep putting their own classical music to it and mixing it with the pop that would be such a huge YouTube channel! Now, with millions of viewers and subscribers to their credit, the Piano Guys are enjoying tremendous success, doing exactly what they love doing. The guys adore their viewers and state that reading their comments inspire them to continue making the music videos that their fan base has come to love and appreciate. The five piano guys have developed a camaraderie that continues to grow stronger as they continue to work together on their projects. Their latest offering to their fans is “Jurassic Park Theme” – 65 Million Years In The Making!” Their combined talents are used to amaze, excite, uplift, and inspire their audiences, and thus far, they have accomplished just that.